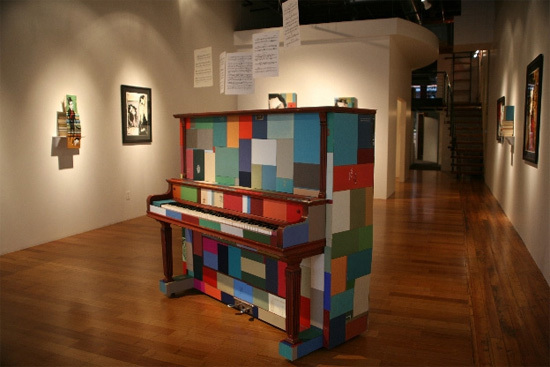 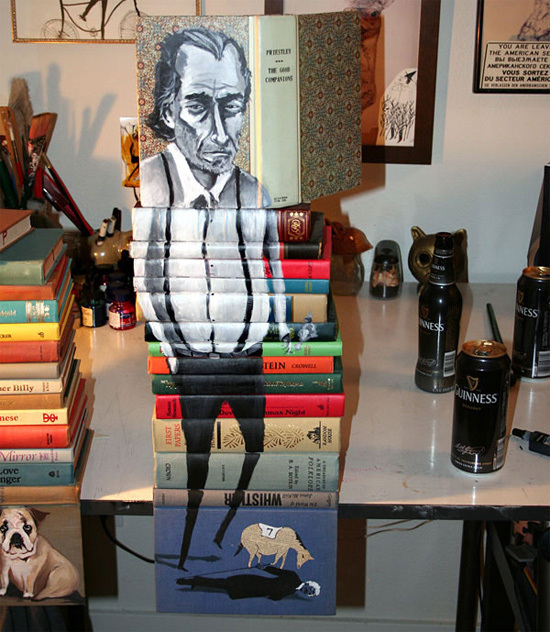 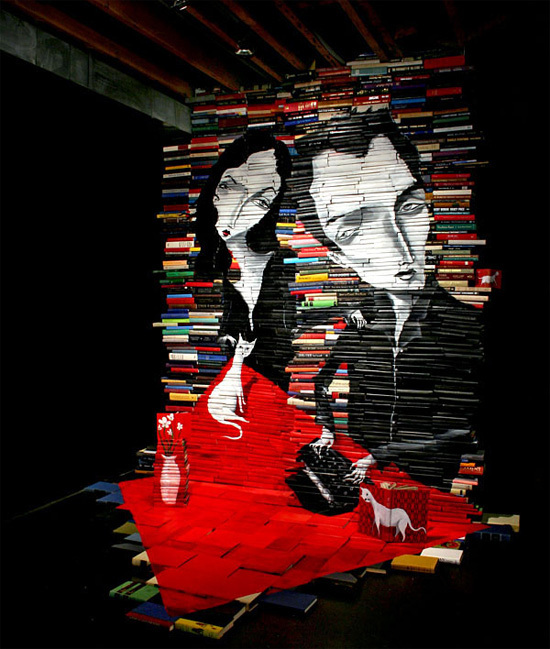 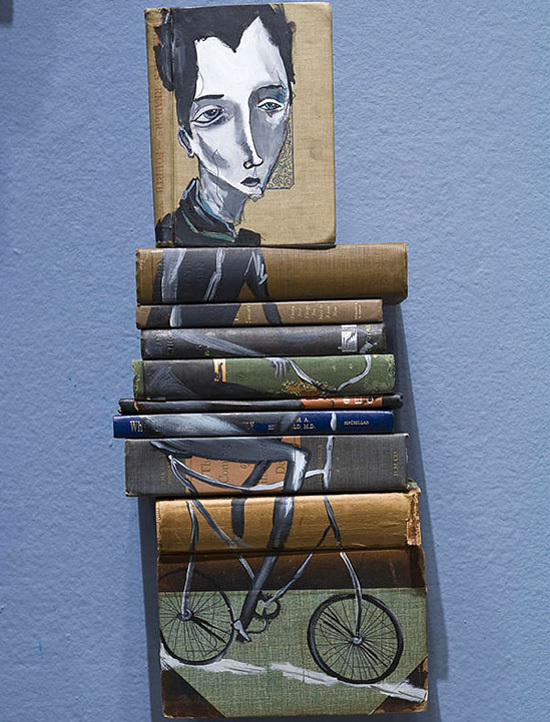 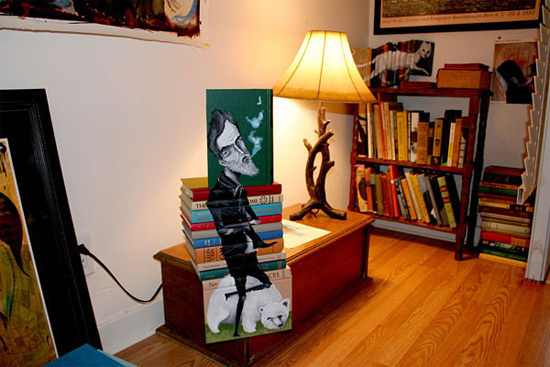 Artist Mike Stilkey is painting artistic images on the spines of stacked books. 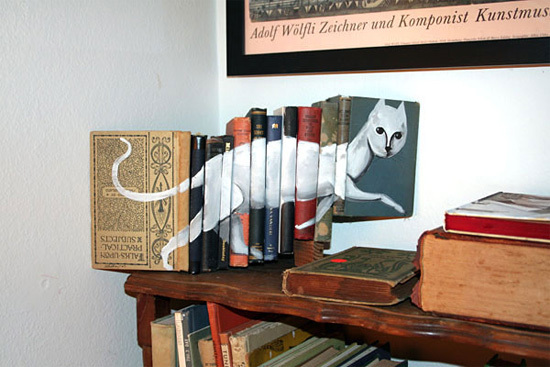 His art is called “book sculptures”. 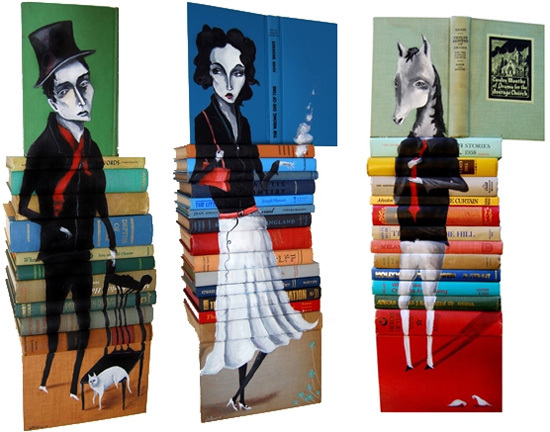 Stilkey uses acrylics and colored pencil to form one image of beautiful and elegant humans and animal that reminds of German expressionism. 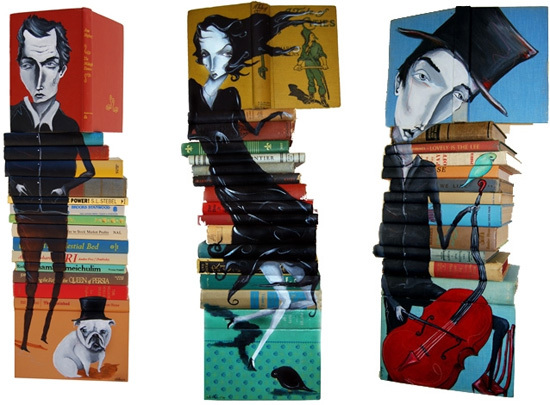 The sculptures are also inspired by fairytale. 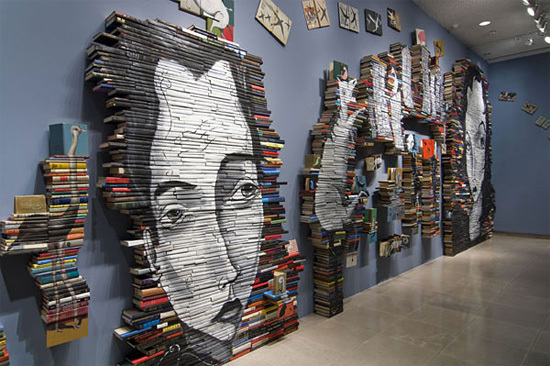 While this artist is using books spines for his drawings, this artist is using his own face for his art. 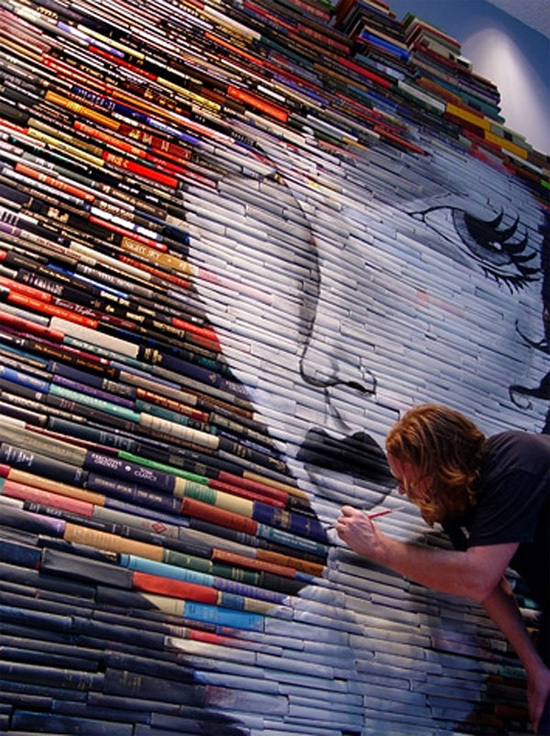 absolutely incredible!! 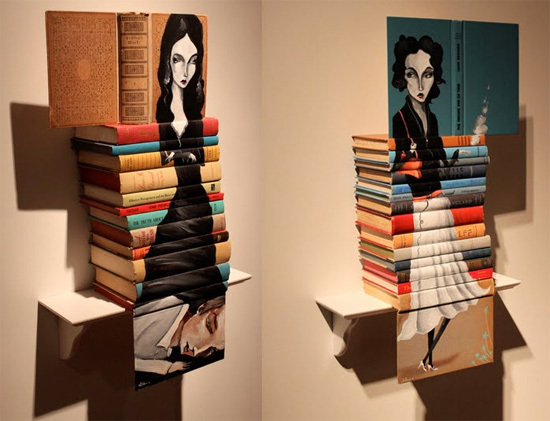 Art preserving art! 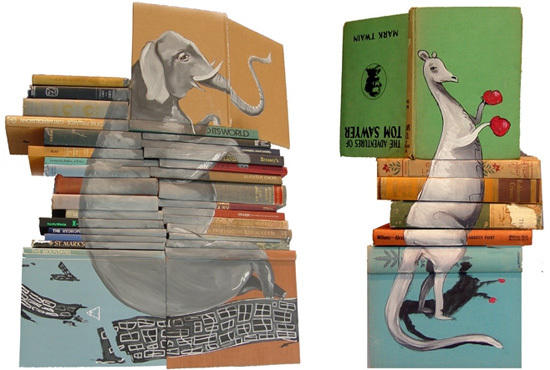 He is giving these books, which he finds in the trash or from thrift stores about to toss them out, a second life! 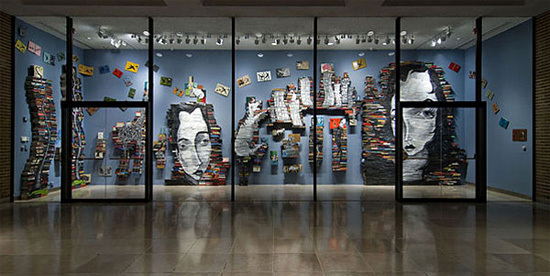 the works are incredible!